This product is part of the Cisco Collaboration 2009/2010 Launch. For more details on availability, pricing and ordering, please contact your local Cisco account representative or Channel Partner account representative. Ergonomic Design Highly usable and intuitive arrangement of lines, features and calls. Transfer, Conference and Hold appear on hard keys to reduce the number of presented softkeys to a maximum of 4 per call state. Customization This model can be ordered as Arctic White or Charcoal Gray. Handsets are available internationally as slimline (5oz, 140g) or standard (6oz, 170g) and can be mixed and matched between users within the same work environment to enable a feeling of customization and ownership among the users. Display VGA presentation for calling, video calling and applications. 5-inch (10 cm) graphical TFT color display, 24-bit color depth, 640 x 480 effective pixel resolution, with backlight. Display also supports localization requiring double-byte Unicode encoding for fonts. Ethernet Internal 2-port Cisco Ethernet switch allows for a direct connection to a 10/100/1000 BASE-T Ethernet network through an RJ-45 interface with single LAN connectivity for both the phone and a colocated PC. System administrator can designate separate VLANs (802.1Q) for the PC and phone, providing improved security and reliability of voice and data traffic. Desktop Wi-Fi Ethernet As an alternative to wired Ethernet, this model supports an on-board wi-fi radio and antenna that enables connectivity to a wi-fi access point thereby saving on the labor costs of pulling Ethernet cables to every work location. Bluetooth Mobility for headset users within 30 feet of their desktop to enable the freedom to go to the printer, a colleague's desk or nearby private location while on a call. The 9951 supports the Hands-free and Headset Bluetooth profiles. USB 2 USB ports accelerate the usability of call handling and applications by enabling accessories such as the Cisco Unified IP Camera, wired and wireless headsets. External Audio Ports General Purpose Audio In and Audio Out ports enable a relaxed speakerphone experience over external speakers and microphone. Secure Digital Input Output (SDIO) Enables an additional option for portability and presentation of confidential data, video and sample applications. 6 Lines Expanding to 114 with 3 Key Expansion Modules The convenience of many speed dials or programmable features, or the necessity of following the activity of many lines. Up to 200 calls supported per device. Key Expansion Module Available separately, enables advanced use of lines, speed dials and features. Cisco Unified IP Camera Available separately, enables 2-way video calling between phones or to a media conference unit. Cisco Unified Video Advantage Support Alternatively to supporting the Cisco Unified IP Camera, the Cisco Unified Video Advantage camera and application (running on a PC) are also supported. Headset Support Integrated design & advanced, updateable firmware for Jawbone ICON for Cisco Bluetooth headset which also works with all major mobile phone models. Also supports standard Bluetooth and USB headsets supported via the hands-free and headset Bluetooth profiles. Wideband analog headset support also provided via a dedicated RJ9 headset port on the rear of the phone. New User Experience Advanced organization of lines, speed dials and programmable features separate from call appearances. Great for those who make few calls per day, better for those who handle dozens of calls per hour. SIP Signaling SIP interoperation with the call control and partner applications enables a rich unified communications solution. Application Support XML applications provided by Cisco's application development partners or customers' own development staff. Audio Codec Support G.711a, G.711u, G.729a, G.729ab, G.722, iSAC and iLBC audio compression codecs. Cisco Unified Communications Manager version 7.1(3a)SU1 or later. – Some features require more recent version of UC Manager and Dev Pack support. Please check the release notes for more information. Survivable Remote Site Telephony (SRST) version 4.3 or later. Phone licensing is dependent on the call control platform and its policies. For the Cisco Unified Communications Manager, the 9971 requires 4 Device License Units (DLUs) or an Enhanced IP User Connect License for UCM release 7.1(5) or later. There are no special licenses plus phone bundles for Tier II distributors. The 9971 is not supported on non-Cisco third party call control systems. 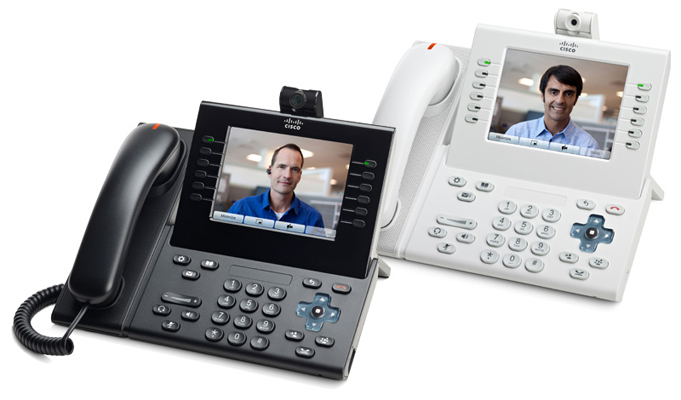 Download the Cisco Unified IP Phone 9971 Datasheet (PDF).